The new Bootlegger in Indiranagar’s 80 Feet Road, which opened on Wednesday, is earthy, classic and simple. Childhood friends Payal Shah and Gitanjali Budhrani with Payal’s fiancé Shreyas Patel decided Bengaluru needed another taste of its original pub culture and gave the city its first Bootlegger in 2013. Childhood memories inspire ideas that take on a life of their own and it was a frolic-filled banter that first brought the Sazerac Hospitality Private Limited quintet together. 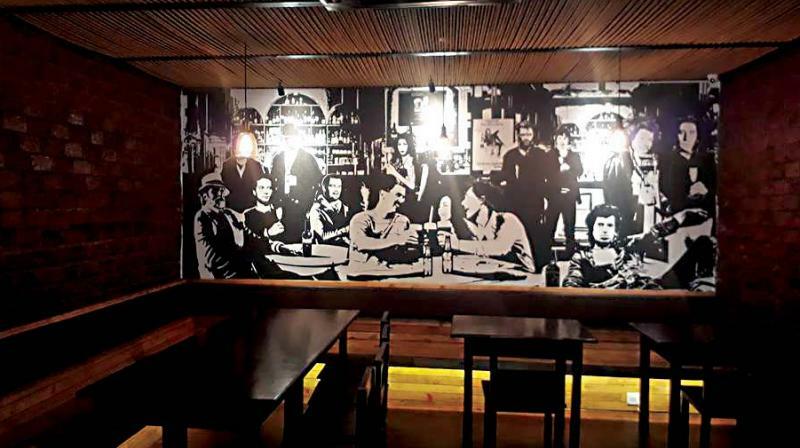 Childhood friends Payal Shah and Gitanjali Budhrani with Payal’s fiancé Shreyas Patel decided Bengaluru needed another taste of its original pub culture and gave the city its first Bootlegger in 2013. 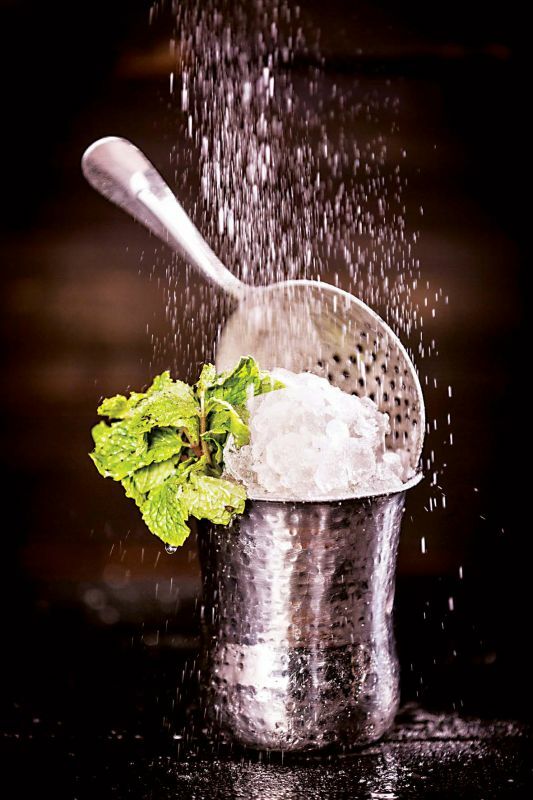 The new Bootlegger in Indiranagar’s 80 Feet Road, which opened on Wednesday, is earthy, classic and simple. The team went back to basics, threw thematic and lounge out of the window (thankfully, as only a few such places actually work) and chose instead, an easy-peasy image of a neighbourhood pub — like they used to have in the pub capital back in the day? Wooded, dimly-lit, warm, inviting, great music, offering tipples to the dozen, and good bites to go with your poison. It’s the sort of place where young ooru tipplers can saunter in wearing flip-flops and a hoodie for a no-nonsense drink or to catch up with their friends. No trumpets blew to tout this haven, as the sensible trio let their pints, shots, shooters, cocktails and bites do the talking. Suman Patnaik, Gitanjali’s fiancé then, now hubby, joined their crew and in 2015, actor Pranita Subhash added the glam quotient. Gitanjali brings a decade’s worth F and B to the table. Payal, a partner with Mocha, and a young biz whiz who has worked with her family’s incense sticks manufacturing business, and Shreyas, an automobile biz whiz, who soups up race cars were the core team when Suman and Pranita added their verve. Now, the young quintet is creating its own hospitality entity — your friendly neighbourhood tavern. We started our cosy evening in one of the many niches under the expanse of large tree, flanked by a wall of herbs that we learned are Payal’s pet project, and used in the kitchen. We started with the stuffed mushroom, which came fried and delicious cheesy, peppery inside. Perfect. Chicken wings followed - caramelly, a bit too sweet and over cooked. The onion rings were crunchy, served with chilli mayo. The bruchetta was toasty, with a punch of fresh tomatoes mingling with the olive oil and basil, sprinkled with cheese. Jalapeno cheese balls were perfect, creamy, spiced, and over! The bacon wrapped sausage was alright, we would have liked no batter to taste, more crisp bacon please, and a nicely fried sausage with a dash of chilli, more tapas-like. For mains, we went with Mr and Mrs Burger. The bun was nice and plump, the beef patty subtly-flavoured and succulent. Not overflowing with stuff, thankfully. The veg patty was perfect, spiced wonderfully and with a nice tang that the vegetarian at the table was totally kicked about, as was the non vegetarian! There are pizzas too, the pepperoni could have done with a sprinkling of basil or arugula … the veg steak came with an average mash, nice herbed veggies and a good portion of cottage cheese in an ok sauce. The chilli dog was a great idea but turned out to be a bit dry –a sauce or caramelised onions would seal the deal. As pubs go, the food is wholesome and great for a night of drinking. Try the chilli beef, a perfect accompaniment for the Gin Basil Slash that Shreyas has perfected. The vodka mint was interesting and the slew of shooters and cocktails are a must-do, but get an easy driver - they’re potent! No trumpets blew to tout this haven, as the sensible trio let their pints, shots, shooters, cocktails and bites do the talking. The menu has all their fave comfort food, (English breakfast, hot dogs, wings, burgers, the breakfast burger sounds wonderful, and so does the Bacon bourbon burger, pastas and meal in a bowl, pizzas and rolls), and nice ‘touchings’, even breakfast, with chef Naushad at the helm. The price point and its comfortable, unassuming feel are the biggest pluses for those counting pennies, the plating is hip, and the staff courteous. This 250-seater tippler haven has niches, lots of balconies, and outside seating in a bricked and warmth emanating space, we liked the half kegs at the bar and how one rooms leads you into a new, unexpected space. Don’t miss the crème brulee cocktail or the truffle cake either. Or just get there for a tipple sunshine special and ask for the Sazerac! Must-haves: The Chilly Beef, burgers, jalapeno cheese poppers, bruchetta, pizzas and cocktails by Shreyas..